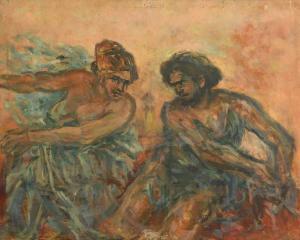 Find artworks, auction results, sale prices and pictures of Stella Steyn at auctions worldwide. 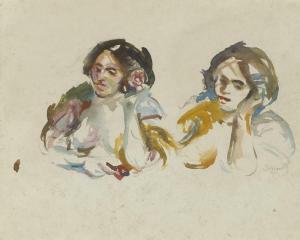 Stella Steyn (1907-1987) FIGURE STUDIES (A PAIR) watercolour over pencil; (2) each signed lower right and lower left; with artist\\`\\`\\`\\`s biography on reverse 7.5 by 9.5in., 18.75 by 23.75cm. 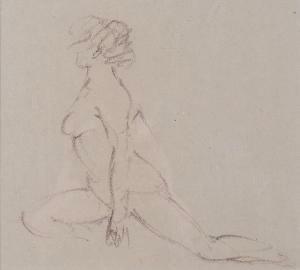 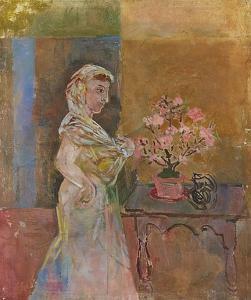 Stella Steyn Studio Sale, Thompson and Medcalf Auctioneers, Carlisle, 16 May 2005; Private collection Both works of equal dimensions and framed uniformly.